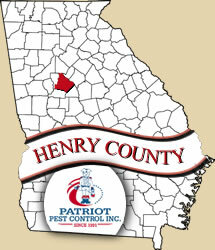 At Patriot Pest Control, we have been serving the Henry County area since 1991. Henry County has been called the Mother County because it some or all of nine other Georgia counties started here. It’s also the home of the world-renowned Atlanta Motor Speedway. Cities in Henry County include Hampton, McDonough, Locust Grove, and Stockbridge. 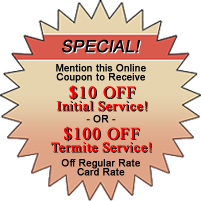 Give us the opportunity to protect your home from unwanted pests and termites.